Japan grew up with wa (harmony). Conflict and competition are the creative engines of Western civilization; Japan traveled a different route to the tumultuous present. Ah, the good old days. Nostalgia is a sweet feeling, and veteran politician Shizuka Kamei, writing in the January edition of monthly magazine Sapio, waxes unabashedly nostalgic, wondering what happened to the wa that once infused Japan but, alas, no longer does. 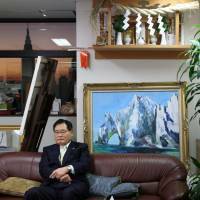 Kamei, 80, is a politician who defies pigeon-holing. In a public career spanning 37 years he’s been arch-conservative and progressive, with this party and that party. He currently sits in the Diet as an independent. Witness, Kamei says, the controversial security law revisions of 2015 — a partial remilitarization of constitutionally pacifist Japan, steamrollered through vigorous domestic opposition purely, as he sees it, to make Japan a more useful ally to its former occupier and current mentor. Kamei’s own conservatism is different. If U.S. President-elect Donald Trump is serious about withdrawing American troops from Japan, so much the better, he feels. Nostalgia is the rose-colored spectacles through which we view the past. It was always better then, the further back in time the rosier. The weekly Josei Seven notes a recent wave of 1980s nostalgia. It wasn’t wa, exactly, but the economic bubble then swelling — not to burst until the early ’90s — that spread its buoyancy far and wide: 90 percent of the population regarded themselves as comfortably middle class. Discos throbbed, restaurants and bars were packed. An advertising executive who joined her company in 1989 recalls dining on an unlimited company expense account: “There’d be five of us but we’d order for 15.” Why? Why not? Five could eat enough for 10, and if five portions went uneaten, who cared? You had to be there. For those born too late, the bubble is as incomprehensible as wa. The pinched, parched present offers no equivalent — in Japan or in the world at large. A breed universally vilified only yesterday is today ascendant. Some hold power by force, others — despotic, if not literally despots — by the electorally expressed will of the people. Where not in power today, they can reasonably hope to be tomorrow. It’s their nationalism that appeals. Globalism, once the cure for nationalism, has become a disease, and nationalism the cure. Trump, Russian President Vladimir Putin, Philippine President Rodrigo Duterte and Europe’s rising right-wing leaders are admired for excesses of speech and action that not long ago would have been branded reactionary, if not abuses of power. But sagging economies, affronted national pride and deepening insecurity alter judgment. The prognosis for wa is bleak. In October the weekly Shukan Gendai declared, “Tokyo people hate Kanagawa Prefecture.” The feeling seems mutual. To such an extent do the nearest of neighbors inspire disgust in each other. To Tokyoites, Kanagawa’s pride in its California-like beaches and its supposed cultural sophistication — as the first part of Japan to be settled by Westerners in the 1860s it retains to this day a cosmopolitan receptiveness to the outside world — is grating, if not ridiculous. Kanagawa returns the compliment: Tokyo is not a city, just a vast collection of villages where village parochialism predominates. It’s a silly quarrel, but if such near neighbors can despise each other, who can get along? Are the walls, barriers and fenced borders propounded by the “despots” inevitable? An ongoing controversy in Japan pits people in quiet residential neighborhoods against day-care developers. It’s no use telling these residents that women nowadays work and will forego having children unless day-care facilities are available. They know that, know the disastrous and already apparent demographic consequences, and acknowledge the need that the developers are scrambling to meet. It’s all fine with them — on one condition: “Not in my neighborhood.” In whose, then? By the same token, people in rich countries at peace understand the needs of refugees fleeing poor countries at war — if only they would flee somewhere else. Earlier this month a Thai teenager born and raised in Japan was ordered to be deported. His parents had been living here illegally. 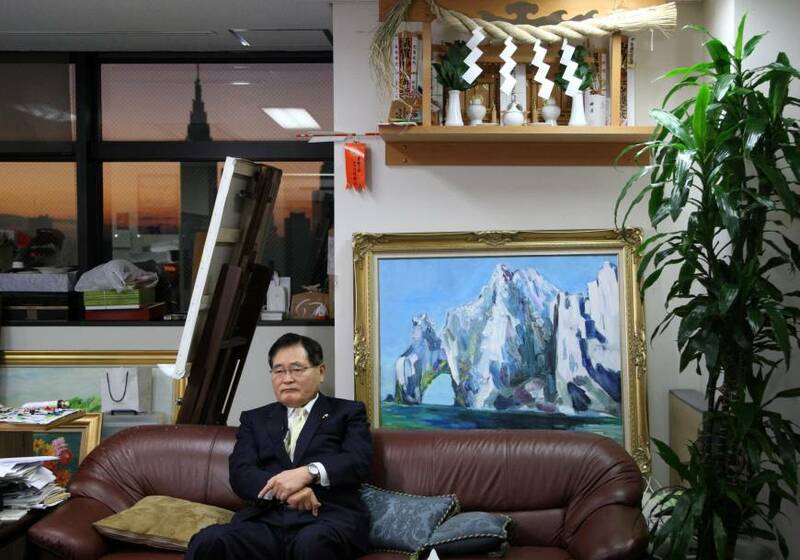 It wasn’t his fault, but the Tokyo High Court ruling will expel him from the only country he knows as home. It seems a despicably mean-spirited application of the law — but much in keeping with the times.